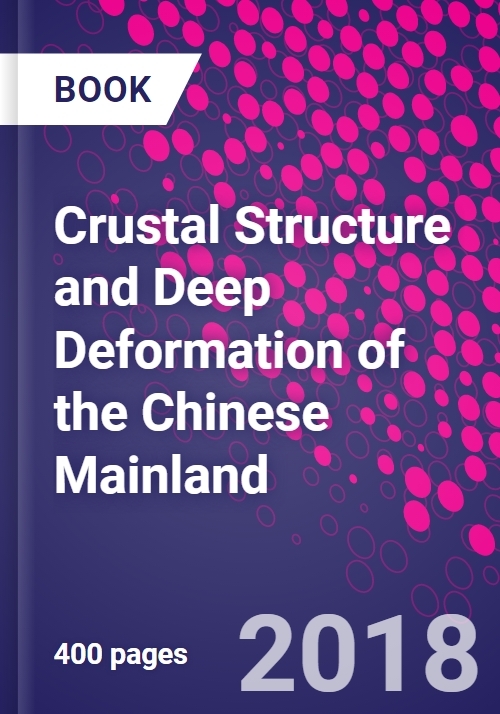 Crustal Structure and Deep Deformation of the Chinese Mainland: Evidence from Deep Seismic Reflection Profiles and Other Geophysical Data Sets collects all available seismic reflection experiments that have been carried out in the Chinese mainland since the 1990s. Such data sheds light on the crustal-scale structure of major tectonic units in the Chinese mainland which reflect typical tectonic belts seen worldwide. Including full analysis and applications of the data as well as high-resolution images of the seismic reflection profiles themselves, this book provides valuable insight that can be applied globally for geologists, geophysicists and seismologists studying crustal structure and tectonics. Data from the Tibetan Plateau, which contains double normal thickness crust, is particularly valuable in providing details and an understanding of ongoing continent-continent collision. Prof. Gao has led thousands kilometres-long deep seismic reflection experiment. The results have contributed greatly to understanding tectonic evolution of the Chinese mainland and Neotectonics of the Tibetan Plateau. He is a Professor of Geophysics for the Chinese Academy of Geological Sciences and Sun Yat-Sen University. He has also served as an Engineer for the Ministry of Geology and Mineral Resources of China and has written numerous articles and chapters for publications on the topic. He was elected as an Academician of Chinese Academy of Sciences in Geology Department in 2015. Throughout his career, he has been focusing on integrating geology and geophysics to understand tectonics.